Dalton and Whitfield County offers a number of cost-effective utility services to businesses in every industry. Our considerable capacity and distribution systems are available for water, sewer, electricity, natural gas and telecommunications. New electric customers with a connected load of 900 kW or greater can choose their supplier. Charter is a state-of-the-art telecommunications facilities serving 57,078 customers locally and more than 171,294 customers regionally (East Tennessee and North Georgia). Charter internet provides speeds up to 100Mbps. Charter Phone Plus service is reliable and crystal clear because of our state-of-the-art, privately managed network that connects into the national phone grid. Lastly, since all of your communications take place over our state-of-the-art, privately managed network, with dedicated 24/7/365 customer service, you can depend on Charter to reliably deliver your calls around the clock. Dalton Utilities has operated as a public utility since 1889 and provides potable water, electrical, natural gas and wastewater treatment services to approximately 65,000 customers in the City of Dalton and portions of Whitfield, Murray, Gordon, Catoosa and Floyd counties. 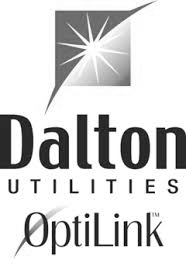 In 2003, Dalton Utilities’ Technology sector launched a fiber-to-the-premise operation, OptiLink, which provides broadband, cable tv, telephone and internet services to residential and business customers in the Dalton area. North Georgia Electric Membership Corporation is a member-owned, not-for-profit electric cooperative serving more than 98,000 customers in seven Northwest Georgia counties. Located in the heart of our nation's commercial and industrial hub, NGEMC has provided quality, reliable electricity service to communities for more than 75 years. In partnership with Tennessee Valley Authority, its power supplier, NGEMC also offers a broad array of economic and technical services helping businesses stay strong and viable. North Georgia EMC – Energy for Work, for Play, for Life. Windstream Business enterprise solutions bring comprehensive IP-based voice and data services, MPLS networking, data center, cloud computing and managed hosting services and communication systems to business, government, finance, healthcare, education, retail and other industries and organizations. Our enterprise-class solutions align voice, data, networking, and security services with infrastructure, technology, and best practices for intelligent, transformational network solutions. They are designed for businesses and organizations that need powerful, robust IT and telephony solutions— whether the organizational footprint is a single site or a large or globally distributed enterprise.